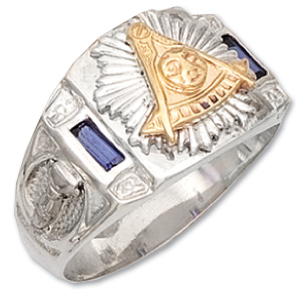 Sterling silver past master mason ring features simulated blue sapphire baguette accent stones. Yellow gold Past Master logo on top. Anti-tarnish sterlite. Made in the USA.